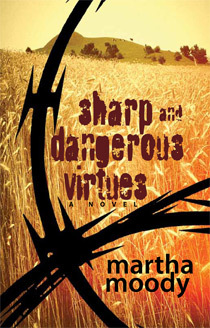 Sharp and Dangerous Virtues portrays ordinary individuals caught in situations they had never planned for or even imagined. It's 2047 in Dayton, Ohio. In response to food and water shortages, the U.S. government has developed a successful agricultural area—known as "the Heartland Grid"—just north of the city. The Grid and its valuable human and agricultural resources are now being threatened—or possibly, seduced—by a multinational enemy force, and all of America feels threatened, too. Genie Toledo is a spit-fire who married the wrong guy young, had a daughter, quickly divorced, and now, in her 40s, has filled the emotional gap by throwing herself into her work and holding friends and family at arm's length. The only person to penetrate her thick shell is Mick Crabbe, with whom she's had a decade-long affair. . . .
Five people—Hap and Will, two doctors; nurse Alicia; office manager Brice; and receptionist Caroline—have worked together for years in a small Ohio medical office. When Will's wife leaves him and he begins an affair with Alicia, this is the first step in the disruption of not only the routine of the office, but the lives of all five people in it. Two young women, Sally Rose of Los Angeles and Clare Mann of Ohio, are thrown together as freshman college roommates at Oberlin College. 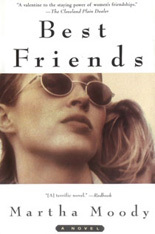 Sally, the daughter of a wealthy, doting father, is desperately homesick, while the story's narrator, Clare, who considers herself jaded and unshockable, is thrilled to be on her own. I wrote an op-ed for the Dayton Daily News telling my story of health insurance and Obamacare. You can read the op-ed here. 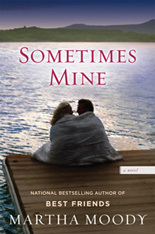 My novel, Sometimes Mine, is now in paperback. 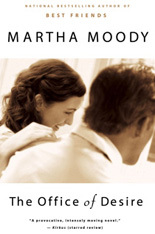 The Office of Desire and Best Friends are both available in paperback. Find out more about my collaboration with translator Jamal Assadi and the English summer camp we started in Israel.